We often receive blank DVD discs back that have been marked as being faulty due to the fact the customers machine refuses to write to them.After a little cross examination we almost always arrive at the same conclusion; the machine doesn’t actually have any software installed which would allow it to write to DVD hence the difficulties the customer is facing. Such an obvious slip-up is easily understood; Windows XP, an application capable of DVD playback and CD writing must support DVD burning, surely?After all the application has been through three service packs and is still the most widely used distribution of Windows in the world.The sad truth is that support for DVD writing wasn’t considered important when XP was released seven years ago and since then Microsoft bizarrely haven’t seen fit to supply an update.Whilst Vista does support DVD writing it can’t handle HD standards such as HD-DVD or Blu-Ray so even Vista users may find the following software that I’m about to recommend of interest. In the past I have very briefly touched on Deepburner (www.deepburner.com) which whilst an incredibly capable program hasn’t been updated sufficiently over the last couple of years for me to feel I can continue to recommend it; HD media support for example is still completely absent.Those still using Windows 98 may still wish to keep it in mind however as Deepburner is still compatible with this antiquated Operating System. The alternative is an application called CDBurnerXP (www.cdburnerxp.se) which would appear to be a much more rounded piece of software due to the sheer number of features that you get compared to other free products on the market.You can, for example, burn to practically any disc including CD-R/CD-RW/DVD+R/DVD-R/DVD+RW/DVD-RW/DVD-RAM/BD(Blu-Ray)/HD-DVD and any dual layer variants.In terms of supported formats the range is equally impressive; if you choose to burn a CD for instance then you can import your songs in mp3, wav, ogg, flac and wma formats as well as importing playlists in M3U or WPL standards and track layouts by way of CUE sheets. 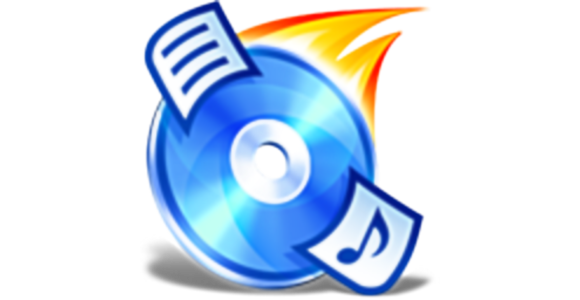 The software supports burning images so that you can create a virtual CD image; this is especially useful if you want to create an EXACT copy of the disc on another form of media such as a Hard Drive.Of course the software can handle burning the image back to disc along with converting and manipulating any images you may receive off others; over the Internet for example. Amazingly the application is a tiny 2.8mb download however it does have the drawback of requiring Windows 2000 or above along with relying on the Microsoft .Net Framework.The .Net software is designed to allow programmers to develop Windows applications faster and more easily and whilst some users complain of speed issues it is becoming a lot more commonplace. Downloading .Net isn’t an issue as it is available free of charge off the Microsoft website and in all probability you have most likely had it installed unbeknown to you at some point in the past when you installed a dependent application or performed a Windows Update.My advice would be to try installing CDBurnerXP and if .Net isn’t detected the application will give you instructions on how to proceed.